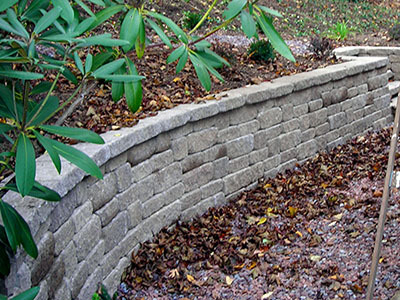 With the area’s highest reputation for outstanding retaining walls built strong to last, Blooming Valley Landscape & Supply is the right company for your retaining wall project. 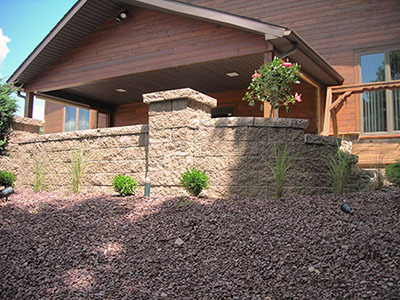 Whether it is a decorative accent wall, free standing seat wall, engineered sea wall, engineered necessary functional retaining wall, or a creative path of tiered landscaping with beautiful walls that stand out with class, Blooming Valley is the only company you want to design and build your wall project. With over 15 years of experience designing and installing retaining walls, we have never had a wall fall or collapse. This is due to our excellent training and certifications through Versa Lok and NCMA, and recently Rosetta. We are also certified in cleaning and sealing existing walls through Techni-Seal. Our walls are built right, built beautiful, and built to last.